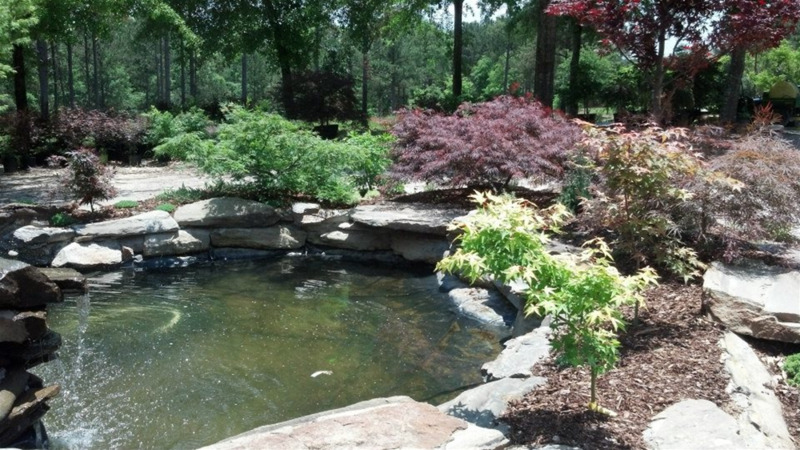 Quail Hollow Gardens, owned and operated by Coach Pat Dye, comprises of more than 5,000 Japanese Maple trees available for purchase. Visitors enjoy viewing specimen trees planted along paths and flowing water features in the garden or visit the nursery where smaller Japanese maples are grafted and grown in containers sized from 1 to 25 gallons. Among the many cultivars at Quail Hollow Gardens, are the hard-to-find Tamuke yamas, a beautiful cascading tree that holds up very well under high heat and humidity with deep crimson foliage changing to deep purple-red. Guests may also find other cascading dissectum trees in many beautiful colors ranging from green to orange.